Work for Apple OS X Mavericks? Learning about OS X Mavericks? "Free upgrade and better stability"
With every update OSX becomes a bit more performant, provides more battery power and stability. Mavericks provides a lot of improvements in these fields as well. Besides that the upgrade from previous versions is usually free of charge. Although it is quite easy for newcomers to adapt to OSX there are still confusing elements in comparison to competitors operating systems. This includes a required transition of User-Experience. OSX Mavericks has a lot of improvements and provides a working and rich-features environment for developing and business purposes. If you consider to use OSX Mavericks now, you should also consider to upgrade to future versions like Sierra. We continuously use the latest OSX version on our company hardware to maintain the compatibility to the latest software. Mavericks stability and support is easily its best feature at the moment. More complex software that requires time to ensure compatibility with an OS has all at least been updated to be compatible with Mavericks, if not even Yosemite. As such, if you're worried about upgrading your OS and what it may do to your software compatibility, Mavericks shouldn't be a problem at all. Mavericks does lack the features that make El Capitan or even Yosemite great. Spotlight isn't as fast, Safari is not nearly as sharp or quick, and the OS generally does not run as fast, even on older machines. That being said, the OS is incredibly stable, and does not cause any problems, which is why we still run it on one of our less-frequently used machines. If you're worried about compatibility of complex software, use OS X Mavericks. If you only use standard and current software, go ahead and upgrade to OS X Yosemite or El Capitan, you will be pleased with their additional features and GUI. Mavericks is incredibly stable, which helps us if we get into a pinch in an unusual situation. Very rarely, we have a problem with heavy workloads on our more current machines, and when we try to run the same process on our older machine running Mavericks it almost always works. "Clean & Simple UI, Not for a windows or linux power-user though"
Clean and simple UI (user-interface). Everything is drag & drop: installing, file management. Handy app store for quickly finding appropriate software for different tasks, however you will find that a lot of these applications feel like bloat-ware and are no match for established third-party software! Operating system fails to boot as you run out of storage, wish there was pre-allocated for a cache to enable you to boot with a filled HDD or SSD. The operating system does not provide the level of customization windows does at first glance and many settings may be difficult to find for the average user. If you want a simple user interface with the basics the Mac is definitely for you, however if you're wanting to do more complex tasks the perhaps find another. Using mavericks means you are 99.9% of the time using an apple machine which will help with your professional appearance (only for designers etc.) because of how the general public per-sieve designers. the operating system is easy to use and will suit the general use of many consumers and professionals. However, when moving from windows to Mac, many users will have difficulty understanding the simplicity of the system (It all seems to simple to be true). I generally like OSX as a whole, its slick, responsive, user friendly design is a dream to use. It's so good that Microsoft has been trying to copy it's formula since XP, and for years they have been falling flat on their face. It's hard to capture that certain magic that Apple have attained with their OS. They keep it extremely up to date, going as far as offering free upgrades to new versions in the app store. As I mentioned, I can't find a particularly bad point about Apple's software, although with all the frequent updates, I think they can sometimes be a bit hasty with releases as I always hear bad things about new versions. However I feel that the common user can rarely tell much difference between different versions, as I personally can't find much change from Lion to Mavericks. I'm also fairly confident I'll never end up using any of the features that distinct one version from another. The main factor that deters me from upgrading, its mainly the concern that some of my software may not immediately work on a new version. Eh.... as good as any other version of OSX, just stay away from Windows and you'll be fine. I learned a valuable lesson when I upgraded from Lion to Mavericks during University as I had a project due in but was unable to finish due to incompatible software. I managed to get this project in after filing an extension but it was a very close call and a lesson well learned. "Mavericks is a solid operating system"
After putting up with a number of bugs in Mountain Lion, Mavericks is a breath of fresh air. Not much has changed visually, besides tags, iBooks, and iMaps. Integration with iOS has improved. I'd like for the connection between Mac and iOS to be more streamlined, but it is well on its way. At a glance, Yosemite and El Capitan are going more in that direction. Because of other softwares I've not been able to upgrade the OS yet, but Mavericks is still running strong. I do everything on this operating system. One of the more helpful features is multiple "desktops" to work from, so that I'm not constantly minimizing windows when I get mail, browse the internet, work on a document, etc. "Excellent Software and simple to use"
My favorite features are: iBooks, which now allow users to read their ebook files on the computer. The addition of multiple display support, which allows multiple monitors to show the Dock and menu bars. I also love the Maps app, which lets you route trip directions and send them to your iPhone for turn-by-turn audio directions once you leave. My computer was older and not optimized for Mavericks when I downloaded it, so it slowed it down considerably. Make sure to have a computer with adequate specs to handle the download and running of Mavericks. It has simplified my computing, and is so much easier to use than Windows. "Great update to an already wonderful operating system"
I've loved full-screen mode, but Split View makes it so much more useful; especially on a laptop's limited screen. The increased performance is fantastic. To be honest, nothing; it runs super well. I've heard some people had some trouble with the upgrade process, but I haven't experienced any of that when we upgraded our 5 computers. The ease of use and security of OS X makes it my favorite operating system. The UNIX backed operating system makes it easy to utilize open source development software, and the user experience makes it easy to use. "Multi display updates a huge plus, and the focus on performance is refreshing." Feels like the awkward transition between Mountain Lion and Yosemite in terms of style. Many of the older Apple apps no longer worked with the tighter iCloud integration, and the "mandatory" iBooks and Maps apps are a little irritating (would rather them be separate App Store downloads). Obviously Yosemite/El Capitan are the way to go nowadays, and with the makeover and great stability improvements in Yosemite, there's no compelling reason to stay on Mavericks. But the multi-display support was well worth the upgrade, so long as you don't mind the awkward "transition period" this OS represents. "A solic OSX update but why get two iterations behind"
Mavericks has nice features, but they're slow. The OS was a nice update at the time it was released but why go to this iteration when Yosemite or El Capitan would be a better choice that has the same and more features with better coding to make them run faster. It's outdated. It was good at the time. But go straight to El Capitan. No need to be using years old OSes, especially if you are using the Apple ecosystem. Skip. Get El Capitan or wait for Apple to release their next iteration of OSX. This is an overall operating system on a computer that helps with productivity. Upgrade, it works great and looks great. Having a reliable and sturdy foundation to work on is a huge benefit. Learning about Apple OS X Mavericks? 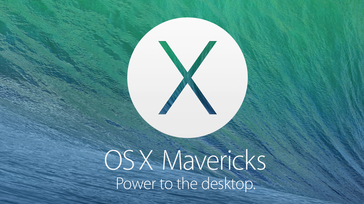 * We monitor all Apple OS X Mavericks reviews to prevent fraudulent reviews and keep review quality high. We do not post reviews by company employees or direct competitors. Validated reviews require the user to submit a screenshot of the product containing their user ID, in order to verify a user is an actual user of the product. Hi there! Are you looking to implement a solution like OS X Mavericks?